So let me get this straight. One of Hollywood's most acclaimed actor's, is making his Broadway debut in a play by one of the theatre's most celebrated playwright's. Sounds about right to me. Forest Whitaker, who won an Academy Award in 2007 for his portrayal of Ugandan dictator Idi Amin in The Last King of Scotland, will star in Eugene O'Neill's Hughie at the Booth Theatre on Broadway. Previews for the sixty-five minute drama are set to begin at the Booth Theatre on February 5, with opening night scheduled for February 25. The show, which takes place at a run down Manhattan hotel, tells the story of small time hustler Erie Smith (Whitaker), who is mourning the recent death of his friend and former hotel clerk Hughie. Tickets for the show are now on sale. Not only that but if you call right now we can get you tickets to see Hughie at prices that can't be beat. Be advised that while this "Special Offer" is good thru March 20, it is for select seats, and as always subject to availability. 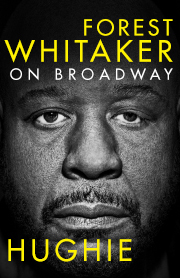 Get your tickets to see Forest Whitaker in Hughie at the Booth Theatre. Until next time theatre fans.